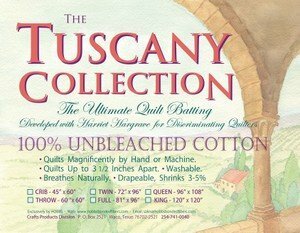 Tuscany Unbleached Cotton starts with fine 100% USA cotton. It is carded and specially needle punched to prevent bunching and shifting. It is completely washable and will shrink 3-5% like all cotton batting. It can be quilted up to 4" apart and should be used primarily with medium or dark colored fabrics. 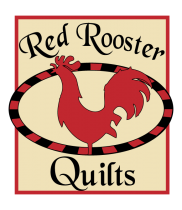 Throw size: 60" x 60"
There will be a $ 4 shipping charge added to this item.